GPS Tracking and Vehicle Theft & Recovery? 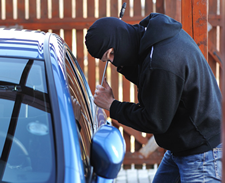 GPS Tracking and Vehicle Theft & Vehicle Recovery? I am convinced that having GPS tracking fitted to your vehicle can exponentially increase the chances of your vehicle being recovered fast, and if you have the right GPS tracking system installed, a system that comes with an alarm style immobilizer interface, then your GPS tracking system has just made your vehicle so much harder to steal.